The past few months have been busy in the Turkey Valley 4th grade classroom. 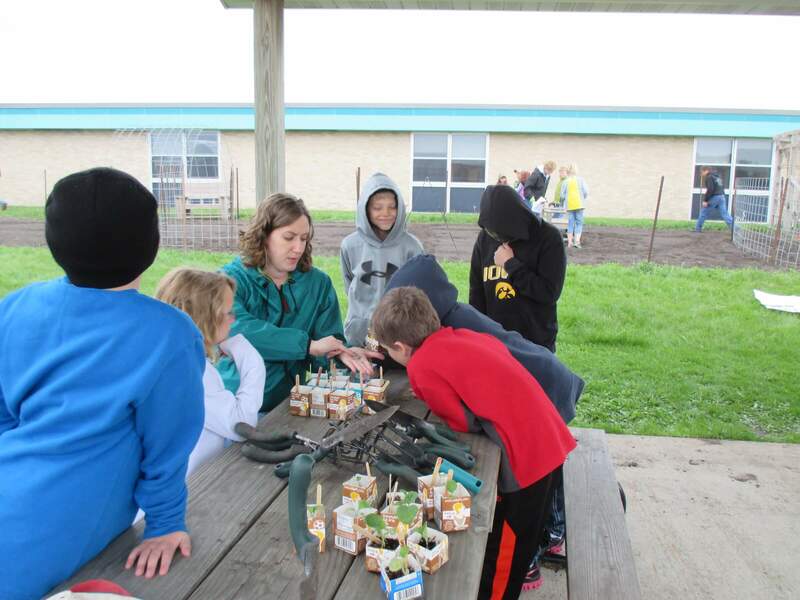 Mrs. Vsetecka’s classroom is in charge of planning, planting and harvesting the school garden. The process is quite lengthy and takes a lot of planning and collaboration among the class. In March, the class took a couple science classes to design the layout of their garden. The class split into four groups and each came up with their own variation and dream for their garden. The elementary classes then voted on the designs as they hung in the hallway. The winning design would then be implemented as the new school garden! 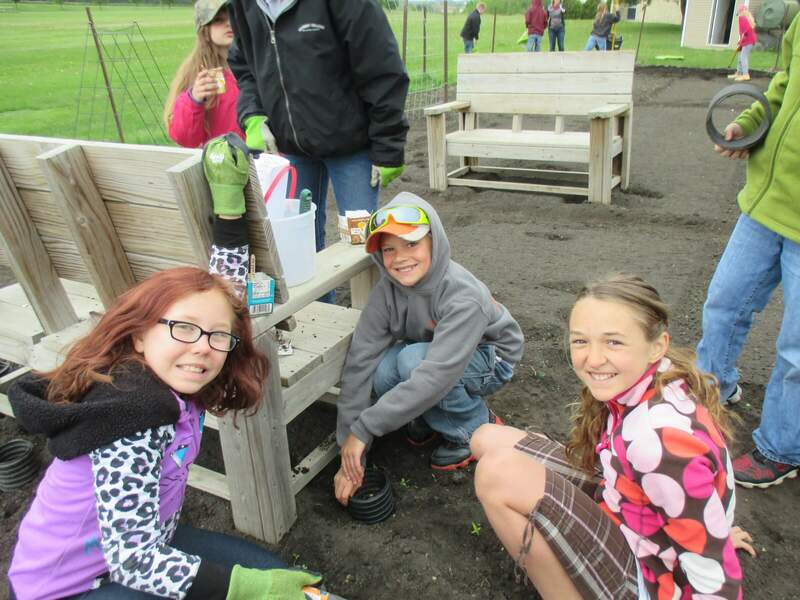 Shortly after the design process, the elementary students took time to plant starter tomato, pepper, marigold and eggplant seeds. These seeds grew in the classrooms under grow lights and were transplanted this past week into the school garden. Planting day was quite the whirlwind. 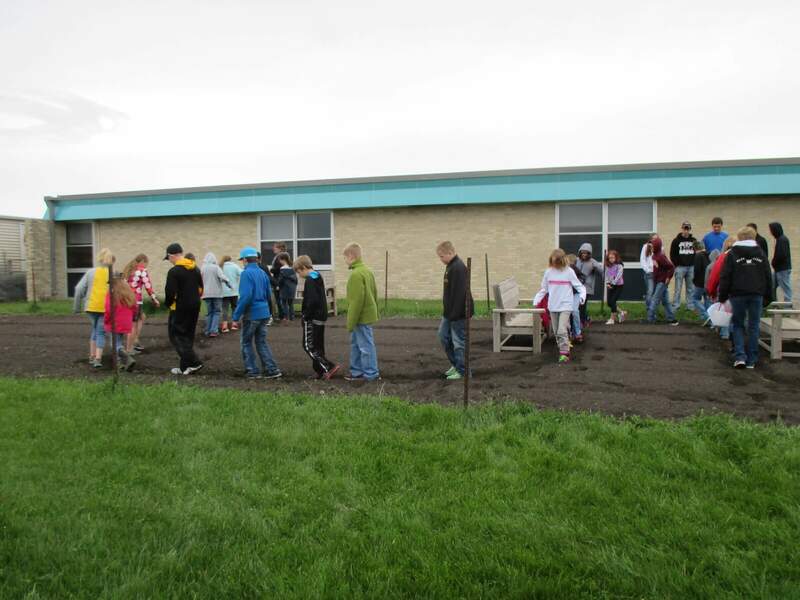 On a chilly May morning, the 4th grade class marched out to their garden plot eager to get to work. The class planted potatoes, peppers, eggplant and tomatoes from starts along with various flowers, beans and lettuce. The high school Environmental students also came out early to help us put in a new fence and arrange our benches and trellises to match our garden plan. With the garden planted and watered, the 4th graders were tired from the days work. They have a lot of pride in their work and are excited to see what it will produce in the fall. However, it will take some extra help to make sure it will be a fruitful fall. We have parent and family volunteers to help throughout the summer to keep the garden maintained. If you are interested in helping out in the garden this summer please contact Robyn Vsetecka at rvsetecka@turkey-v.k12.ia.us, Katie Blocker at blocka02@luther.edu or sign up using Sign-Up Genius at http://www.signupgenius.com/go/10c0a4caeaf2ea5fc1-tvvictory to volunteer. This entry was posted in School Wellness, Turkey Valley CSD by Katie Blocker. Bookmark the permalink. Katie, this is so wonderful! What a great garden story. Thanks for all the great work you have done to help make this happen!